While the Bowsette / Princess Bowser fandom has somewhat cooled off, it seems like it is still far from fizzling out. A fan has modded the gender-bent version of the Koopa King as the final boss of New Super Mario Bros. Wii. It’s seriously impressive stuff, as it seems like they also modified the regular Bowser model with new animations and Peach’s voice-clips. 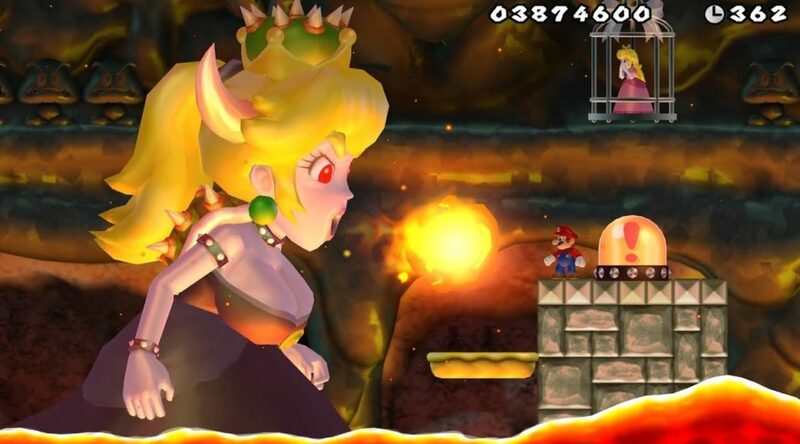 We’ve already seen Bowsette modded into Super Mario 64, but this certainly looks like a step up! Who knows where the meanest queen of the Mushroom Kingdom will end up next?